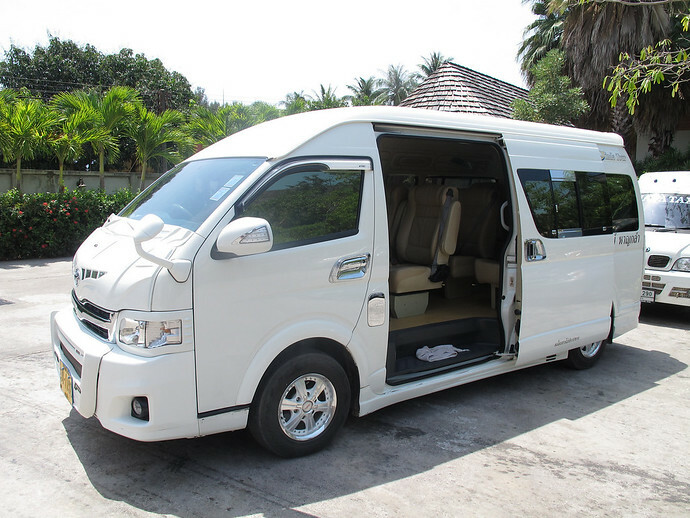 Enjoy a spacious, air-conditioned, private minivan taxi from Pakbara Pier to Ao Nang. 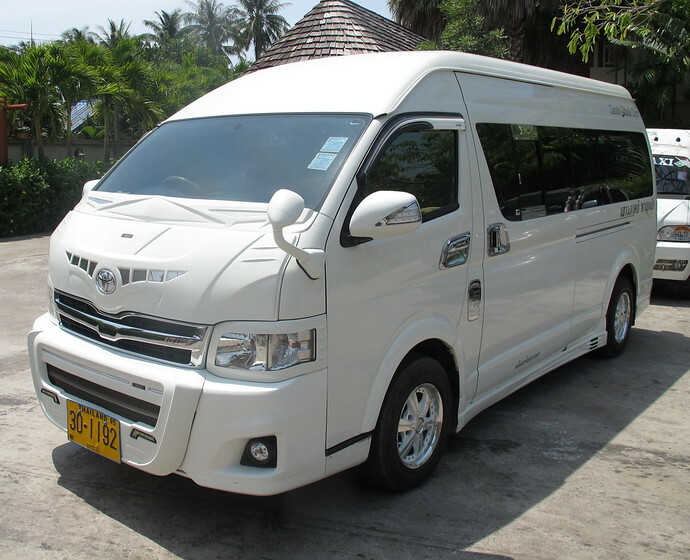 The driver will pick you up from Pakbara Pier and take you direct to your Ao Nang Hotel. Would You Like A One Way Transfer Or A Return Transfer? How Many Children Under 2? 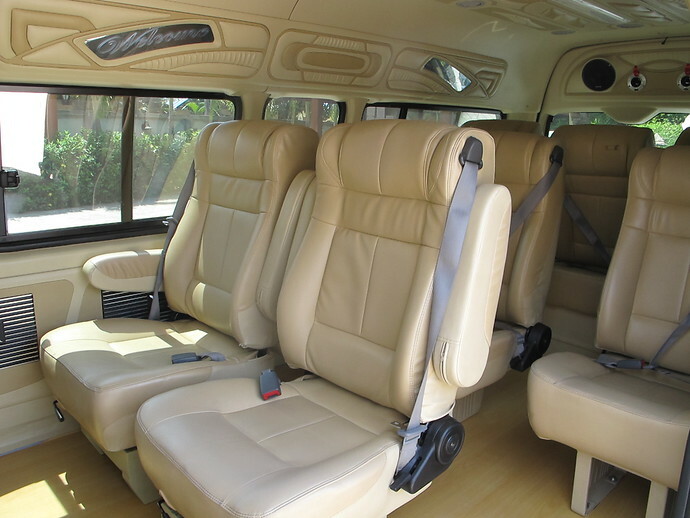 If you have more than 6 guests in your group, you will need to order a second minivan. You can do this by simply making two bookings using this booking form. You can contact us at enquiries@amazinglanta.com if you have any questions. Donsak Pier has two piers. Please let us know your ferry company and where you are travelling from so we can pick you up from the right pier. Still need to book your Koh Lanta hotel? Please state your Airline, Flight Number, Port of Origin and Time Of Arrival at Krabi Airport e.g. "Thai Airways TG 241 from Bangkok - arrive Krabi 08:00". Please use 24-hour clock. Please tell us your ferry departure time to Pakbara Pier and where you are travelling from, e.g. "12:30 from Koh Lipe". Please use 24-hour clock. Please enter your hotel address details so the minivan driver can easily pick you up. Still need to book your flight? Compare prices and timings at Skyscanner. Please enter your hotel address details so the minivan driver can easily drop you off. Still need to book your Ao Nang hotel? Donsak Pier has two piers. Please let us know your ferry company and destination so we can make sure you go to the right pier. Please note the transfer time from Ao Nang to Donsak Pier is 2.5 hours. Please book the pick up time at least 3.5 hours before your ferry departure time. The last pick up time from Ao Nang is 12:30pm to Donsak Pier. Please state your Airline, Flight Number, Destination and Time Of Departure from Krabi Airport e.g. "Thai Airways TG 241 to Bangkok - depart Krabi 08:00". Please use 24-hour clock. Please tell us your ferry departure time from Pakbara Pier and where you are travelling from, e.g. "12:30 from Pakbara Pier to Koh Lipe". Please use 24-hour clock. Check the timetable to see when you will arrive at Pakbara Pier from Koh Lipe. Koh Lipe to Pakbara Pier Ferry Schedule – runs all year round. Koh Lipe to Ao Nang ferry service – runs all year round.